Back from China, Circle of Blue’s senior editor notices a trend creeping from our headlines to those of other news organizations around the world. Fracking requires millions of gallons of water per well. 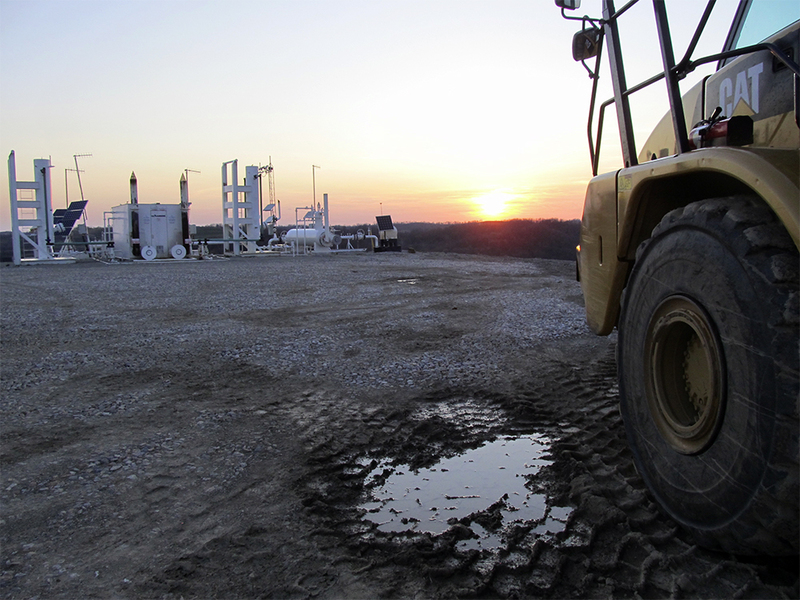 A new deep shale natural gas field opened this year in West Virginia. Tom Friedman, columnist for The New York Times,earlier this week described the confrontation between China’s population growth and water resources, arguing that a nation developing as fast as that one is bound to hit big economic and ecological impediments. For Circle of Blue readers, however, this is not a new thought. Just last year, in our Choke Point: China package, we reported on the domestic and global implications of China’s irresistible drive for modernization and development. Not only has The NYTimes published Friedman’s piece, but Greenpeace followed up on our report on coal production and water use in China with a strong study of its own in August. In another example, The NYTimes reported in August how shale oil and gas production pits energy against farming for access to water on the dry American Great Plains. “A new race for water is rippling through the drought-scorched heartland,” the paper reported. Two years ago, in our Choke Point: U.S. package, we were among the first to report on the developing contest for water in North Dakota and other states, where tens of millions of gallons of water were being used to frack deep shale oil and gas wells. We reported that the duel between the oil industry and farmers was a political mismatch and that, when it came to scarce water, the oil and gas industry would secure all that it needed, regardless of who stood in its way. The Union of Concerned Scientists has been reporting for almost a year on water and energy in the United States in its Energy In A Warming World Initiative. Last week, USA Today followed up on Circle of Blue’s terrific original reporting on water pricing in American cities with a big take out of its own. For a tiny science and reporting group like Circle of Blue — which punches well above its weight — it’s gratifying to know that your work matters. This is tough work to do, and it’s good that people are taking notice. More than 70 percent of China’s coal comes from the dry northern region, where water reserves are declining. 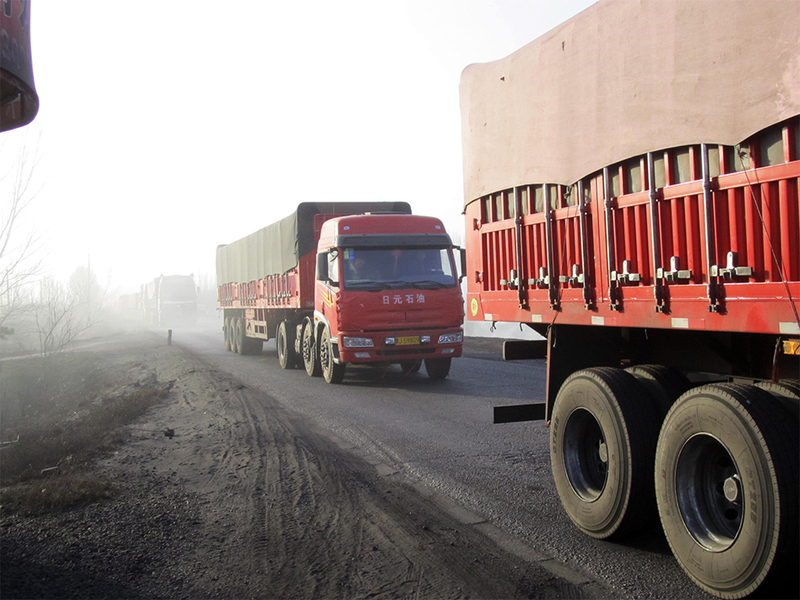 Trucks in Inner Mongolia haul coal to coastal cities. Do you see water stories happening where you live? Contact Keith Schneider or send a tweet to @modeshift, or comment below.